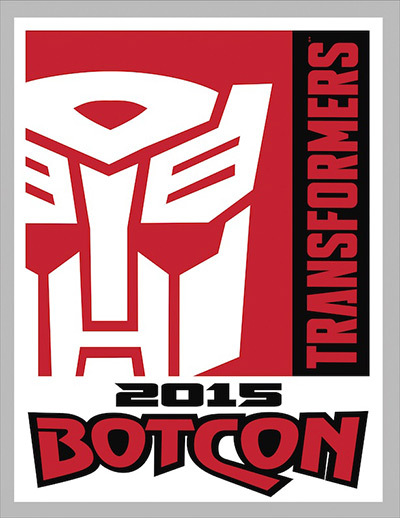 In the coming weeks, pop culture enthusiasts from around the world will be able to register for BotCon 2015 through the BotCon.com online registration system. Fans and collectors who register for BotCon as a Primus package holder will receive a five-figure convention set, admission to the Friday private sales room experience, priority seating at all panels and seminars throughout the weekend and admittance to the Saturday night Casino Night and Awards party. Finally, Primus package attendees will also receive a special bonus Transformers figure to go along with their convention box set. General Admission for non-registered guests will be available on Saturday and Sunday only. For all the information regarding the BotCon show activities, hotel updates and the exclusive figure offerings, remember to stay tuned to www.BotCon.com/BotCon2015. And for a sneak peek at this year's convention set theme be sure to check out Transformers Timelines Issue 10, on comic book shelves this December! Hasbro, Inc. (NASDAQ: HAS) is a branded play company dedicated to fulfilling the fundamental need for play for children and families through the creative expression of the Company's world class brand portfolio, including TRANSFORMERS, MONOPOLY, PLAY-DOH, MY LITTLE PONY, MAGIC: THE GATHERING, NERF and LITTLEST PET SHOP. From toys and games, to television programming, motion pictures, digital gaming and a comprehensive licensing program, Hasbro strives to delight its global customers with innovative play and entertainment experiences, in a variety of forms and formats, anytime and anywhere. The Company's Hasbro Studios is responsible for entertainment brand-driven storytelling around Hasbro brands across television, film, commercial productions and short-form. Through the Company's deep commitment to corporate social responsibility, including philanthropy, Hasbro is helping to build a safe and sustainable world for future generations and to positively impact the lives of millions of children and families every year. It has been recognized for its efforts by being named one of the "World's Most Ethical Companies" and is ranked as one of Corporate Responsibility Magazine's "100 Best Corporate Citizens." Learn more at www.hasbro.com. © 2014 Hasbro, Inc. All Rights Reserved.